So, one food lover went to eat out at the new Naguru Skyz Hotel. He/she settled for a humble breakfast; black tea and one beef samosa. 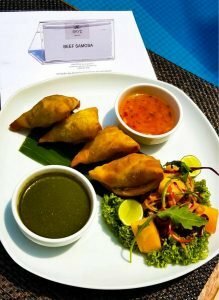 The beef samosa went for Shs27000 while for black tea he/she parted with Shs15000! 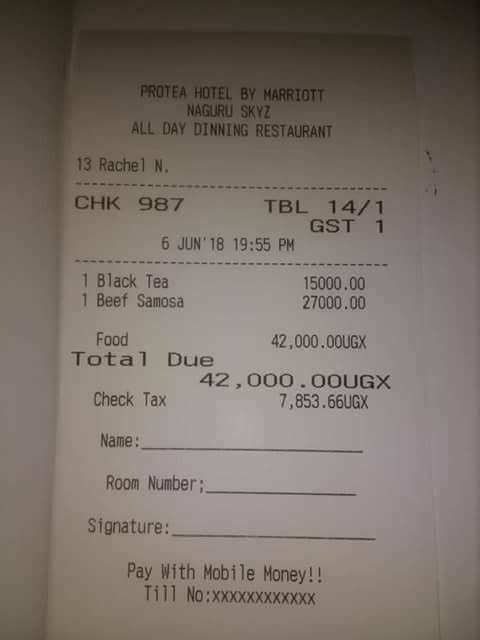 One the street his Shs42000 meal could go for Shs2000! Who says Ugandans don’t have money?